Hello and welcome to another episode of Coexisting With Nonhuman Animals, not just your every day special episode, but the THIRTIETH special episode. I was going to do a big special "lets see where Welfare reform has gotten us, from The Animals Film to Earthlings", but I had trouble finding special co stars, so maybe its a topic for the future. Before I begin, just one extra special shoutout, I added a fancy widget to the right side of my blog, that shows where visitors are located. I think its fun to notice where everyone is visiting from, and its public, anyone can see. I noticed a particularly special location. I'd like to say hello to the visitor from a particular US city, Gary, Indiana. Gary, Indiana, the birthplace of Rebbie, Jackie, Tito, Jermaine, La Toya, Marlon, Randy, Janet and….mick hail,, mikhael, MICHAEL, Michael Jackson. The Jacksons last album was even titled 2300 Jackson Street, their birthplace, what more does a stalker need? Constant GPS location updates from an iPhone? Invercargill, where I live, has a Jackson Street, and I've always thought I could buy number 23, and scribble a couple zeroes on the end. I'd tell everyone I lived at 2300 Jackson Street, the smart people would work it out, that 2300 was between 22 and 24, and I wouldn't get as much junk mail. Because um, New Zealand streets kinda don't go to two thousand three hundred. I've been planning a dream tour of America, all the places I'd like to go, mainly museums actually, to see historic fighter jets or space rockets, Michael Jacksons childhood home sounds quite fun to visit. If the person from Gary is listening, I'd love to get a photo of you from outside the house, number 2300, on Jackson Street. I believe, from Google Maps, the house is right near Leonard Douglas Stadium. My email address is jaywontdart@gmail.com, j a y w o n t d a r t @gmail.com, although, lets be honest, I know its a weird idea, and I'm not getting my hopes up. Another specific address I'd like to visit Area 51, you know, in between Area's 50 and 52, I'm sure its just like here in New Zealand, where if you turn up at THE military base, you can sit in THE fighter aircraft from the 1900's and relive the New Zealandy/Australiano war. Sea Shepherds silly stink bombs are far more lethal than the NZ Armed Forces. Surely they have tours of Area 51, right? I mean, if I fly for 20 odd hours, (and boy will my arms be tired), to get to the other side of the world, I want to shake the Aliens hand, or appendage, or whatever they have. I had feedback from my friend livecritter, who mentioned reading my blog posts. "this is such a great post but the visual format (small white text on a black background made it incredibly hard to read (I ended up copying/pasting it into a text file and reading from there). Would you consider a different template to make it easier for people to get the important messages you're blogging?" Well, I've always liked white text on black, mainly to annoy my highschool typing teacher, she also hated the name "typing", "young maaan, its text information management, or TIM". Incidentally, I really hope people LISTEN to my podcast, rather than READ the scripts I post, but I figure, why not include my script, if you are on dialup or otherwise cannot stand my voice. I feel very Web 2.0 including my script, being all open and sharing. I'm not thrilled with the current template, but its probably easy to read. I like mentioning fast food ads that jab at Vegetarians. "the rebel...its so (something) that even the most dedicated Vegetarian could turn...thats why its called...THE REBEL…". First of all, Burger King's trick is to reintroduce the same basic burgers under different names. They either add Bacon, or BBQ sauce, or BOTH, and give it a fancy new name. And then they remove that product, swap the bacon to BBQ sauce ratio, and voila, a new burger is created. KFC also had a similar ad, with an annoying teenage girl, dressed up as a goth or emo, joining the family eating chicken, not many lines in the script, her father says " I thought you were a vegetarian" and the brat says "not on tuesdays!"…. and the ad finished with something like "KFC, THE BIG CHICKEN BUCKET, OH YEAH!" I'm always somewhat happy to even hear the term "vegetarian" being used, its good if people know there are other ways of life. But I do get annoyed if its just to make us look like teenage girls on a fad diet, or as if we are really missing out, to feel like an elitist. "SEEMINGLY DRUNKEN AND HUNGOVER parrots are dropping out of the sky in the Northern Territory and experts are at a loss to explain why. The red-collared lorikeets lose coordination and pass out after eating a mystery food, Lisa Hansen, of the Ark Animal Hospital at Palmerston, near Darwin said on Thursday. Red-collared lorikeets are an NT subspecies of the rainbow lorikeet . "It happens every year around this season, they lose all balance and we find them fallen out of trees and the sky," she says. "Unless someone intervenes, they can't fly and will get picked up by predators." "It seems that the birds get intoxicated by something they have eaten and it renders them unable to fly and function... they can get very sick as a result." Around eight to ten birds a day have been brought to the hospital after falling to the ground in backyards and along roadsides. There are now a total of 40 lorikeets receiving treatment." Once again the Australians are ripping off New Zealand. We've had drunked um, err, kereru…. I think I said it right, did I William?, um, drunken New Zealand Wood Pigeons for millions of years, presumably. We had flocks of wild Rainbow Lorikeets in New Zealand, I heard they were everywhere in Auckland a few years back. Of course, our Department Of Conservation (DOC), always eager to lend a hand wiped out all the colorful little parrots. Its just a normal day for DOC, the same lot that are most well known for using the controversial 1080 poison on possums. DOC also were responsible in the purification of Auckland Island Pigs, for the crime of eating New Zealand Native plants on those rocks in the middle of nowhere. I believe Possums are loved in their native Australia, where they are at least somewhat rare. They are drawn as cute cartoon characters, and toy Possums are sold. We really need to respect our little Australian visitors better, rather than rounding them up or using poison. My thoughts would be to just gather Australian Animal X, and include them on a plane flight back to Australia. Sure they would need to be put through quarantine for a period of time, but its better than 1080 poisoning. 1080 causes animals to spaz out, in delirium, frothing at the mouth until they die. We wouldn't even need special flights to Australia, quite large numbers of New Zealanders give up our green pastures for the Browner deserts of Australia, and better paying jobs. Surely there is SOME space on those planes for a dozen birds or possums on each flight. I heard the Rainbow Lorikeets in Auckland were brutally exterminated because they have quite messy droppings, and they quote "compete for food", whatever that means, with New Zealand Natives. Sounds a bit like blaming everything on immigrants to me. Fake Steve Jobs had an interesting take on AT&T that I feel is relevant. Fake Steve was an anonymous blog about what Apple CEO Steve Jobs would REALLY think about current issues. "So we set up a call with Randall this morning to discuss some of the profoundly stupid things his guy Ralph de la Vega said recently about creating incentives that would encourage people to stop using AT&T’s data network so much. Point of the talk was, when you’re lucky enough to create a smash hit product — when the stars align, and the hardware is great and the ecosystem is great and the apps are great and the whole experience is great, and everything you do just makes everything else better, and you’re totally on a roll and can do no wrong — when that happens, you do not go out and try to FRIG it all up by discouraging people who love your product. What you do, instead, is you fix your …um, I'll censor this, fix your stupid network you idiot." So this post mentions the Meet The Beetles um, "Record", whatever a Record was, and how popular it was on release. "Now there was a lot of demand for that record — so much that the plant that printed the records could not keep up. Now here’s the lesson. Do you think the guys who were running Capitol Records said, Gee whiz, the kids are buying up this record at such a crazy pace that our printing plant can’t keep up — we’d better find a way to slow things down. Maybe we can create an incentive that would discourage people from buying the record. Do you think they said that? No, they did not. What they did was, they went out and found another printing plant. And another one and another one, until they could make as many records as people wanted." If these beautiful little Illegally Immigrated parrots from Australia were such an awful problem, eating all available food before Hardworking New Zealand Evolved birds could get their beaks in, why not just provide more food? Encourage Aucklanders to place bird seed, sugar water or popular nectar producing plants to attract the lovely little birds? I've heard from Vegans who lived in the area, and how they loved feeding the Rainbow Lorikeets. And now they feel their quality of life has really been hurt, because the birds were removed. I suppose putting out more food for all birds would be a reasonable and magnificent solution though, so DOC would want nothing to do with it. No, instead all the Rainbow Lorikeets were killed. DOC has some wonderfully EVIL documents about the Rainbow Lorikeet. By the way, what an awful sounding name for the worst threat to this Proud nations security, the dreaded RAINBOW Lorikeet. I'm sure pregnant women faint just hearing the term. Ha, right, you must SURRENDER these terrorist,war criminal RAINBOW Lorikeets to the quote "Bird Rescue". Those birds are not going to be "rescued". Sounds sort of "1984" to me, The Ministry of Love. And secure caging, I can imagine a maximum security jail, with razorwire fences, tripwires and roving searchlights from the guard towers. established, proving that they can survive and adapt to the New Zealand environment"
Wow, a whole 200 birds at most, what a plague, I bet you could see that many seagulls in Auckland on any given day. And deliberately released, by who, a mad scientist from a comic book? The Wicked Witch of the West, from Wizard of Oz, after her flying monkeys failed to devastate New Zealand's Nectar production? "Rainbow lorikeets are strong flyers and have been recorded traveling over thirty kilometres between roosting sites and feeding grounds in Auckland. Because of this flying ability, they pose a significant threat to those species whose survival is only possible on island sanctuaries which have been cleared of predators." Wow, "because of this, Flying Ability", as if DOC have only encountered New Zealand native birds that CANNOT fly…"what the hell is that! Its as if swimming through the air! Witchcraft!" Besides, 30 kilometers a day? A few centimetre long Dragonfly can easily do over a hundred kilometres daily. I found a website covering both opinions about the birds, and a figure of nearly $250,000 NZD is mentioned being spent on trapping and killing Rainbow Lorikeets. The ways that were described as "humane" and as "putting down" the birds elsewhere are said to involve neck breaking, lethal injection, poisoning and shooting. It reminds me of the quote "humane way" to kill a lobster, putting the poor thing in a Freezer, where he or she would quote " go to sleep". Yeah right, the extreme cold would put the unprotected animal into a coma. ,There is no such thing as a quote "humane" way to kill an animal. No healthy animal wants to die, they want to live. You are NOT doing them a favour by killing them, for the crime of being born, or perhaps more accurately evolved overseas. Rainbow Lorikeets are not an animal that keeps me from sleeping peacefully, I don't see what the big threat is here, perhaps its more jealousy from DOC, that Australian birds are so colorful, and DOC spend all their time trying to help out New Zealand Natives, who are generally brown and flightless. Well, apart from that other drunk, the Kereru, and its blood red eyes. To be fair to DOC, I have heard reports that the War Criminal Lorikeets are no longer quote "humanely put down", but captured and sold or given to collectors. I guess the lucky birds get to spend the rest of their lives in little cages, what a prize. Perhaps the absolutely luckiest get to fly for a few seconds in any direction. I'd actually choose death over living in a cage for the rest of my life. I admit, New Zealand is incredibly underprepared from the continual ATTACK from Australia, sure, their initial shock troopers, those awful "Rainbow Lorikeets" have devastated our flowering trees, I havnt seen so much as a flowering weed for the last decade, god help us if they send over the wombats. But really, if Rainbow Lorikeets, pretty little birds who eat nectar, are the worst threat to our Sovereignty, we really don't have anything to complain about right? What an odd, and ultimately ill advised idea, to remove meat from hospital menus. I'm sure its all some kind of plot to get people angry about pushy vegetarians. I don't think you can really force people to NOT eat something, I'm not going to petition local schools to remove all animal products from their canteens. I remember my high school, trying to remove any sugary foods, bye bye Coca Cola and lollies, the students were very angry. And…they walked a minute or two to a New World supermarket a few blocks away, and spent their money away from the school. I don't think we should focus on removing meat from menus in public facilities. 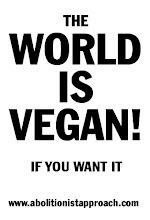 I think promoting Veganism is a far better choice, and its not something we can force upon the world. It sure seems like a lot of these publicized Vegetarian stories are coming from the UK. I think theres a real backlash against Vegetarians from these ideas, the general Meatfree Monday idea. I'd like to include a clip of Sir Paul McCartney singing one of his crazy new songs, but my internet is at dialup speeds right now. So, I'll give you a rendition, trust me, I cant be singing it any worse than the Ex Beatle. "its meat free mondaaaaaaaay….its a fun daaaaaay, and its happening, all around the worllllllld"…. Thats meant to be an idea we should rally behind? I liked this story about a Pukeko, um, another practically flightless New Zealand bird, they are blue and red, and wade in swamps with their long stilt like legs. They are sort of like a plump little stork. Not likely, although I'm sure modern quote "animal trainers" are far different from those who used to whip the Elephants. Surely, they now focus on rewarding supposed "good behaviors" with food, I would think. I'd rather this lovely Pukeko was left to his, or her, bird genders can be hard to tell, I wish this friendly Pukeko was left to his or her freedom. What an odd bird, Pukeko can fly, but they choose not to. This whole damn country is against flight, I'm sure of it. Pukeko featured in a recent energy ad that enthralled the nation. It was of course referenced in the clip I played, I've included a link in my notes, and I recommend that you watch the "Perky Pukeko Trek" video clip in full. Pukeko are very nice looking birds. The Pukeko has another, English name, the Swamp Hen. New Zealanders all use the term Pukeko though. Why can we grant special animals abilities to remember, think, plan and complete marathon journeys, but not quote "farm animals"? A Pukeko is really not much more than a specialized blue Chicken. You can tell by the never used English term, Swamp Hen. They have far longer legs, a different shaped head, and blue feathers, those are really the only differences. If a Pukeko can remember a location, why wouldn't a Chicken? Why could a Chicken not travel 70 kilometers? I'm sure if they wanted, my little friends in the backyard could go on marathon walks, and find their way back to my chicken shed. After all, a Hen normally remembers where she laid her eggs, and they ALWAYS like to roost in the same location, never more than a centimetre or so off. It actually annoys me where the Rooster and Hen stand, chickens sleep standing up, underneath their fully grown chicks. So, they sometimes end up with um, waste on their feathers from above. Also, when its cold outside, I try and encourage them all to nest in the straw beds I've provided, rather than perch on the wood of the nesting boxes, where it might be gusty. But do you think they want to sleep in nice warm straw? Not a chance. Its good enough for Ms Hen to lay her eggs there, and to raise the few day old chicks, but they all refuse to nestle in warm straw, they want to stand up. They made their choice a year ago, and thats where they always want to sleep. Animals definitely have independent thoughts, and theres nothing we can do about it, no matter how silly they might appear to us. This whole Pukeko trek story reminded me of a bad movie from when I was young. Bingo. This trailer might be a bit cheesy for you. I grew up watching some terrible movies. The boy is separated from his new canine friend when the human family moves. The dog manages to track the boy down, somehow. Well, partially through the boy peeing on the side of the road, and the dog remembering how the boys urine smells. All throughout the movie, the dog Bingo has guns pointed at him, along with the death threats. Pretty shocking to be in a childs film, and why would a dog be such a threat to a couple murderers? "He's all business", whatever that means. The dog, or dogs used spend half the movie panting. And of COURSE, at the end of the movie the young boy is trapped in a burning building, as always happens to young boys who go on adventures with the family dog, I think there might have been a timebomb or something too. I presume this "bingo" knew to chew through the green wire, like all Border Collies. I'm sure all animals have a general sense of bearing, they know where they are in the world. This would be especially true of birds, and Pukeko are no more special than Chickens. Every man on the street has the same opinion about this story, "ets a bleeding imposition, a bloody outrage…" And the general "how would they like it…." Well, all farm animals will end up being killed, and you are happy enough to support that, so really, whats wrong with putting a few animals into a small area for an hour or so? I don't see how we can be furious about animals being jammed in a car for a short period of time, while absolutely looking forward to eating our next lamb chop. The issue is not treatment, its use. I don't think it matters to the sheep, if they are in the backseat alone, with their seatbelt on, or if there are two of them. I wouldn't spend all my time drafting laws about how many stolen sheep can be in a Mazda before its "animal cruelty". Its cruel to artificially inseminate a cow, its cruel to mince up male chicks, its cruel to kill sheep. We shouldn't be killing animals, simple. I've mentioned Peter Leitch, The Mad Butcher before on my show. Now, for being such a great guy, he's been sort of rewarded. Its not quite as exciting as when you see you have a new follower on Twitter, but I hear its something Older Generations respect. Unreal, I mean, sure he's given quite a lot of his fortune away to different charities, but being pessimistic, you can say that rich people often get twice as much positive PR for their donations as it actually cost them. I'm sure the people who have received help from this, The Mad Butcher, are very grateful. But I don't know if he deserves a special title. I said on Episode 28 about feeling bad for disparaging medical experiments on Animals. So many people have this idea in their heads that they are absolutely needed, that the only way to cure all that ails mankind is if we keep rare pigs in quote "Factory Farming" conditions. If we keep these poor animals away from sunlight, to be killed for their organs, or currently, a single organ. What a scary situation, to have your whole life dependent on this plastic box, that you have in a backpack. To always have this bag strapped to you, and if something DID happen to the device, what, you just have to sit down and die? Because without the battery, you simply don't have a heart. I'm sure Nuclear Fusion is right around the corner, and we'll all have Ironman-esque reactor implants. Hey, if I have to choose between a Titanium alloy in my chest, or what would normally be considered Offal, were it from any other of the millions or billions of pigs killed each year, I know what I'd pick. The guide dog issue is difficult as well, to say that we don't agree with Guide Dogs. But really, why would blind people require an expensively trained dog, if they could be granted sight? I've heard all about constant breakthroughs in camera technology, there have long been implants that could detect light, and as the available resolution improves, surely, we will one day have artificial eyes. Perhaps they will work like in Predator, with different vision modes for different wavelengths. I wouldn't mind being able to see in the dark, like a Cat. Once upon a time, you would have needed a horse to plough fields, or to pull a cart for transport. Then Tractors came along. I suppose Upper Class people have these things called, "cars" as well. Im sure technology will free us from any longheld belief that we NEED to use animals in any given way. Now HERES a New Zealand invention, that we are marketing to the world. This whole country is founded on Animal Agriculture, its all we think about. To a person with a hammer, every problem looks like a nail. Hey, he better be falling asleep, and not making fun of my lisp. I hope my visitor from Gary, Indiana was listening. But Thank you, yes you, for listening to Coexisting With Nonhuman Animals. Evil Rainbow Lorikeet information from our beloved "Department Of Conservation (DOC)", remind you of "1984" much? artificial heart technology - who needs animal transplants?